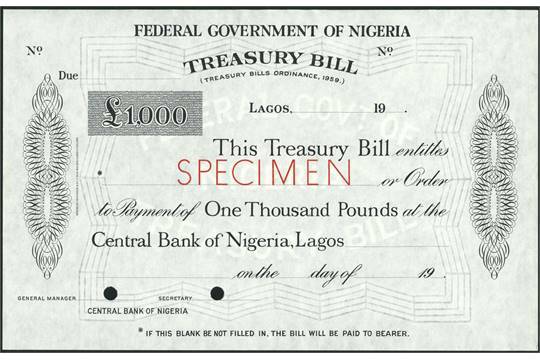 Nigeria, through its central bank says it will auction treasury bills as much as N1.024 trillion in the fourth quarter of the year, auctioning 91-day bills worth N62.635 billion, 182-day bills worth N148.667 billion, as well as 364-day bills worth N812.401 billion in the given time period. The Central bank said this in its Nigerian Treasury Bills Issue program for the fourth quarter of the year available on its website. The CBN usually sells treasury bills twice a month to help the government fund its budget deficit and mop up excess liquidity in the system.